5.207 Acres with septic. Ridge View Acres Phase 2. Ideal building sites just on the edge of town. Fantastic views overlooking the valley. Dedicated private paved road. Nice homes surrounding. Horses, cattle, livestock permitted. No manufactured or modular homes. Owner of subdivision must approve floor plans. No square footage requirements. Well/septic approved. Tuscarawas Valley School District. Additional tracts available. The approximate monthly principal & interest payment for this property would be $169.20. This payment is based on a 30-year loan at a fixed rate of 4.000 % - APR 4.091 % with a down payment of $1,845. Actual lender interest rates and loan programs may vary. Loans with lower down payments are available. 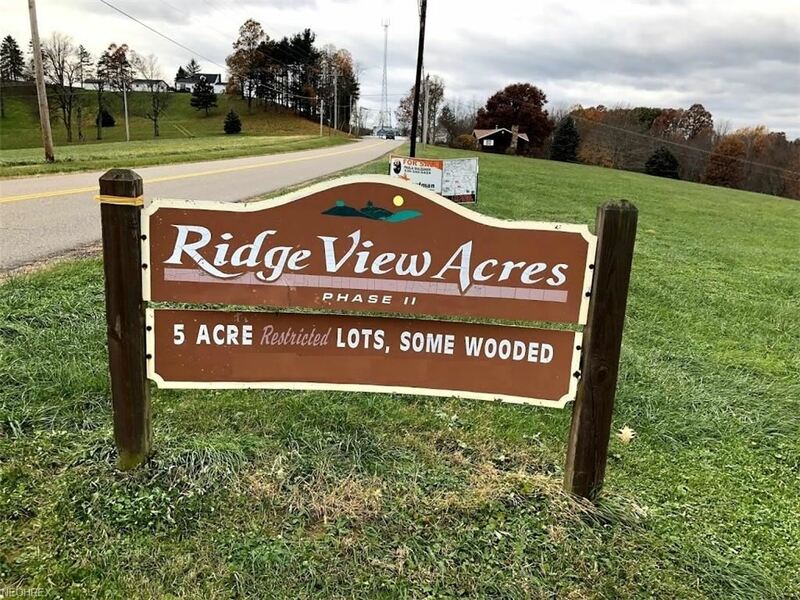 4 Tabor Ridge NE Road, Mineral City, OH 44656 lots and land offered for sale at $36,900 by Jeff Mathias in the New Philadelphia real estate office.